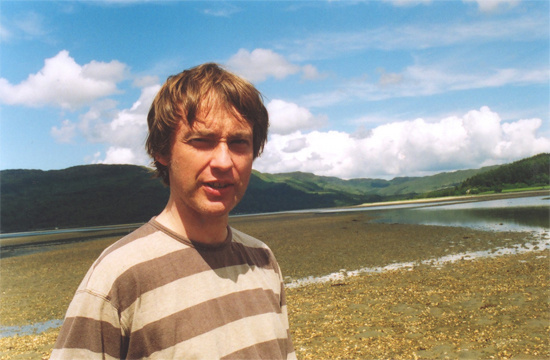 Glasgow-based musical polyglot Richard Youngs is set to release a new 12" in September. Entitled Rurtain, it's due to be released through London-based label Alter, the increasingly varied imprint run by Helm (aka Luke Younger), and joins a label catalogue that already features the likes of Liberez, Oneohtrix Point Never and Hieroglyphic Being. Rurtain is due out on 10th September, and follows on from his recent, frazzled Core To The Brave LP on Root Strata. It finds Youngs operating in a mode that's several leagues from the poppier sounds of his best known work (the likes of Beyond The Valley of Ultrahits). Instead its longform title track, split into two parts - 'Rurtain (Shonny Don)' and 'Rurtain (Keyomarno)', finds him collaging percussion, wisps of his own voice and stately organ figures into disorienting and immersive patchwork quilt electronica. We're pleased to have been given 'Shonny Don' to stream - listen via the embed below. In addition, Astral Social Club, John Clyde-Evans and Oneohtrix Point Never are brought in on remix duties - all are great, but the latter's is a particularly arresting listen, setting Youngs' voice adrift in radio soft-rock hell and attacking it with microscopic blasts of videogame arcade synthetica. For more on Youngs, read our interview with him from last year here. Also on 10th September, Alter is also set to release another LP - Élg's Mil Pluton - which is a shared release with the Hundebiss label, who will be distributing the album in Italy. It's the second album by Élg, aka Laurent Gerard, and features musical contributions from some revered names, among them Jo Tanz, Jan Anderzen and PAN label head Bill Kouligas. Skewed songwriting, cut-and-paste concrete rhythms and pulsating electronic drones appear across its length, often crashing in all at once. For more on the label, head to the Alter site.